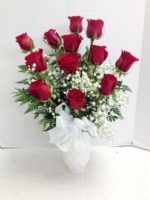 This Little Basket of Flowers is an adorable way to wish someone well. 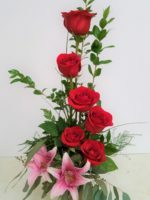 You’ll find the freshest flowers such as carnations, daisies, alstroemeria, lilies and more! 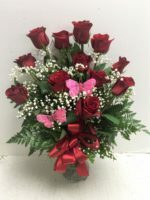 Of course we’ll add a coordinating butterfly to say Hi! 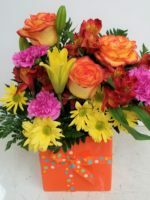 This Little Basket of Flowers is an adorable way to wish someone well. 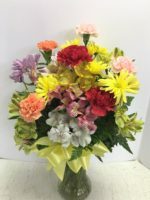 Whether it’s mom or grandma on Mother’s Day or Grandparent’s Day, or your sister on Easter, this is a terrific floral arrangement that’s not too large and not too small! 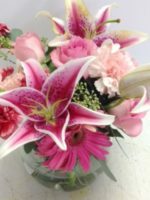 Great for a housewarming, Secretary’s Day or a summer arrangement, you’ll find the freshest flowers such as carnations, daisies, alstroemeria, lilies and more! 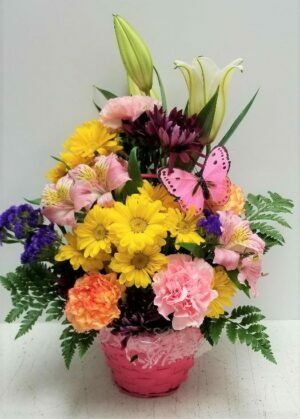 Of course we’ll add a coordinating butterfly to say Hi! 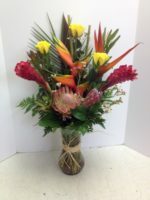 You might prefer the Foxy Lady or A Lattice Bouquet. 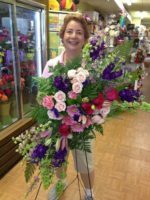 Whichever arrangement you choose, you know you’ll be sending the freshest, prettiest flowers available, custom designed by Pamela E Smith at Roadrunner Florist.